As one of the premier university music programs in the United States, the Shepard School of Music is home to a number of state-of-the-art performance spaces and rehearsal rooms. 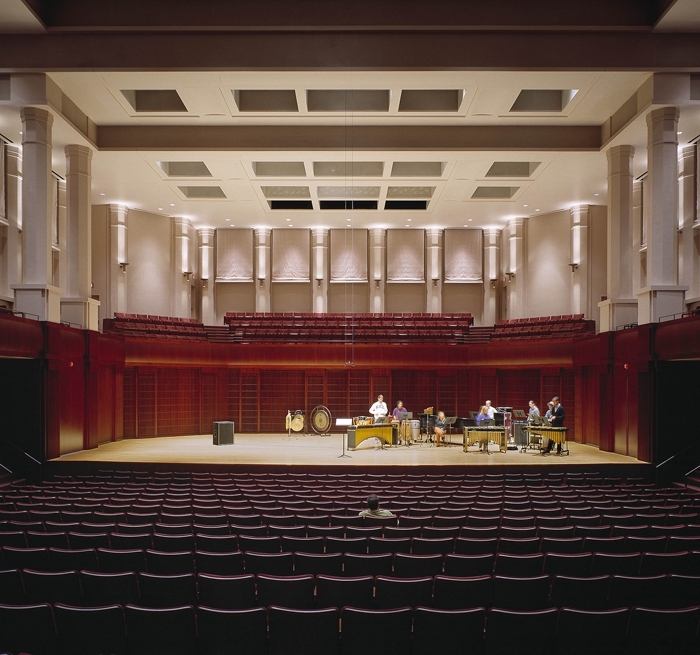 Auerbach Glasow provided architectural lighting design services for the 1,000-seat Stude Concert Hall, the 250-seat Duncan Recital Hall, the Wortham Opera Theatre and the 200-seat Edythe Bates Old Recital Hall organ studio at the Shepherd School of Music. The Stude Concert Hall, modeled after the Musikverein in Vienna, hosts chamber music and solo performances in a classic shoebox space. Although a fully dimmable downlight system was utilized to provide general illumination, the hall was outfitted with custom wall bracket fixtures. These fixtures were designed to accent the architectural pilasters and provide drama at the perimeter of the room. The Hall can be configured in multiple ways to suit different performance types and sizes. Several of the adjacent spaces are reminiscent of the Stude Concert Hall. 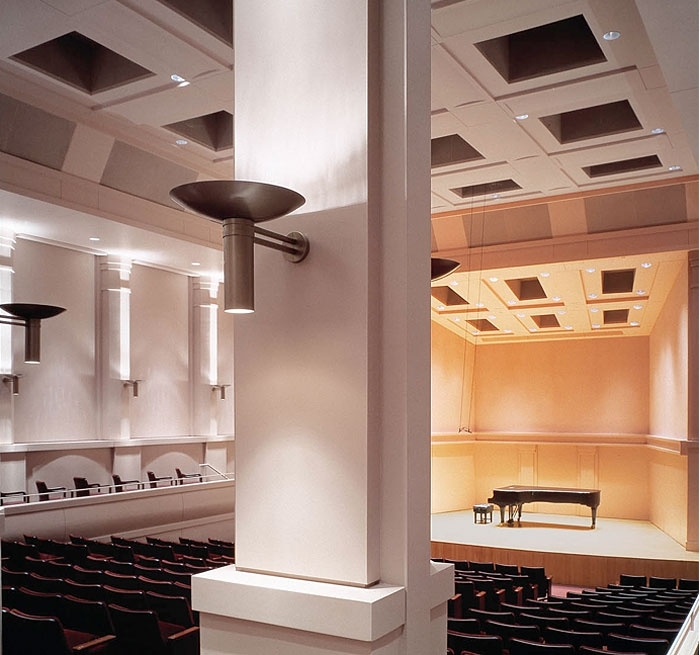 The Duncan Recital Hall, a smaller version of the Stude Concert Hall, uses general and custom lighting elements of the main hall. 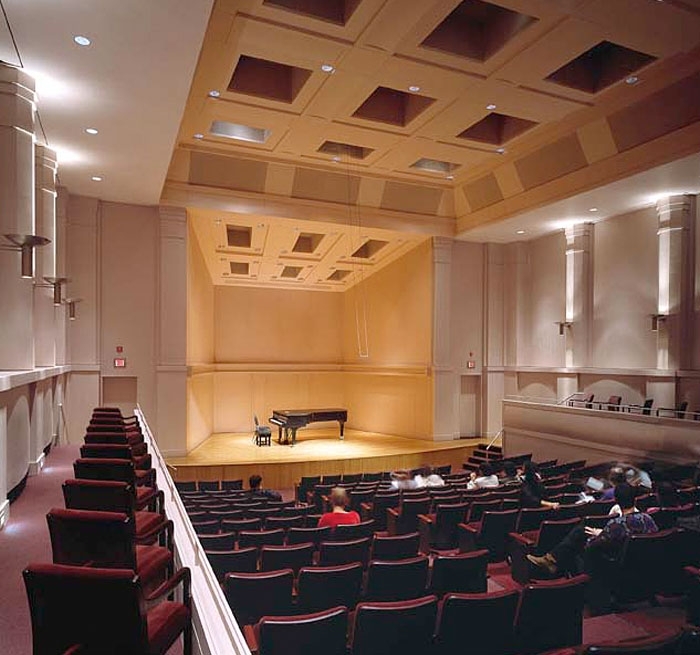 Duncan Recital Hall is used for student and faculty recitals, lecture recitals, guest speakers and master classes. The Hirsch Orchestra Rehearsal Hall provides an acoustically-isolated environment for rehearsals, classes, workshops and recitals while The Wortham Opera Theatre is a black-box theatre – with a music pit – providing flexibility and intimacy for the school’s opera program. 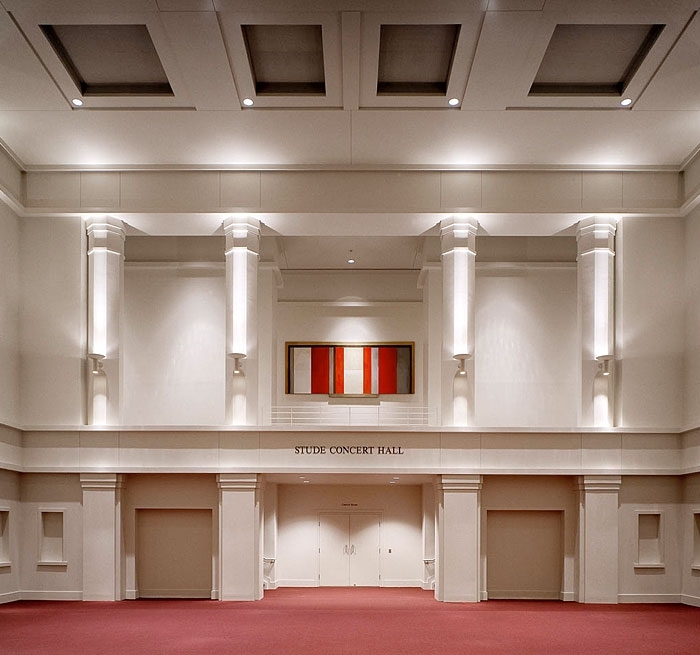 The Edythe Bates Old Recital Hall features a 78-foot high ceiling and is the tallest portion of the building. This venue was created for a singular organ that has an extraordinarily long reverberation time to suit the use of the space. In addition to serving the needs of the Shepherd School of Music and Rice University, the building attracts visitors from the greater Houston area and has an annual attendance of 75,000 patrons for 350 events each year.